We’re now entering the semi-finals of Nebula March Madness! The theme of Round 3 is “Discovery.” In this round, we’ll take a look at the stories behind the discoveries of these nebulae, including some head-scratching reasons for the names. Before we jump into Round 3, let’s recap what happened in Round 2. Round 2 was about “What’s it made of?” and we found that most of our nebulae in the bracket are HII regions—regions of ionized atomic hydrogen gas (H+), a marker of recent star formation. Across the different nebulae, there was a variety of the types of objects within, with star clusters, white dwarfs, or dust helping to give the nebulae their visible characteristics. Who will move on to the final round? Stay tuned to find out! A nebula is a cloud of gas and dust in outer space. Nebulae vary in size and composition and can have atomic, ionized, or even molecular gas. Some nebulae consist of molecular clouds which are sometimes affectionately called stellar nurseries (if they contain star-forming regions, that is!). Nebulae are often named for what observers think they look like, and I've selected 16 nebulae that have been named for animals. I've divided these up into those named for birds, mammals, sea creatures, and bugs, and each week we will eliminate a handful of nebulae and learn a bit more about the rest. This round focuses on the story behind the discovery of different nebulae. In this round, we might learn when and by whom a nebula was first observed or why it was given it name. The Eagle Nebula was discovered in the 1740s by Jean-Philippe Loys de Chéseaux, an astronomer from western Switzerland. In 1746, De Chéseaux presented a list of nebulae to the French Academy of Sciences. The list, which included the Eagle Nebula and seven others discovered by the Swiss astronomer, wasn’t made public until 1892. 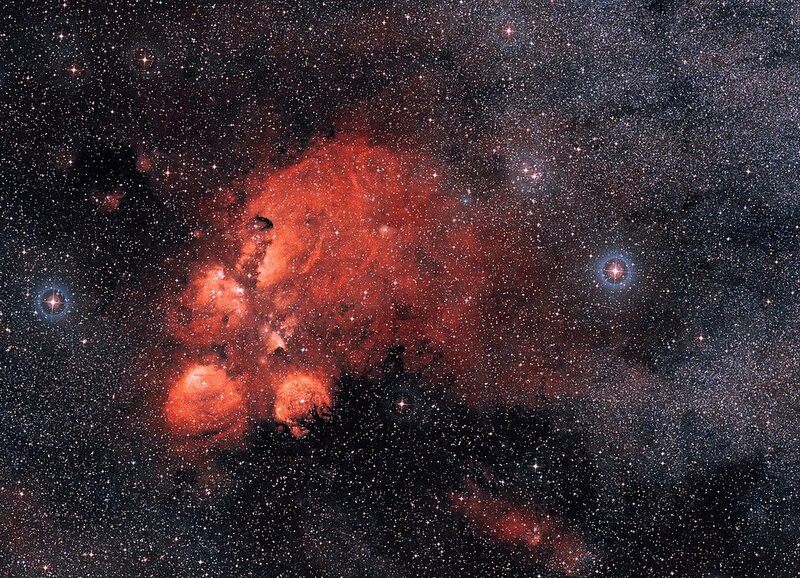 The Cat’s Paw Nebula was discovered almost a century after the Eagle Nebula. It was first observed in 1837 by English astronomer John Herschel, who observed the nebula from the Cape of Good Hope in South Africa. John Herschel, the son of notable German-born British astronomer William Herschel and nephew of astronomer Caroline Hershel, published a catalogue of astronomical observations in 1864, called the General Catalogue of Nebulae and Clusters, that was an expansion of his father’s own work. In addition to being an astronomer, John Hershel was a mathematician, chemist, photographer, and botanist. The Crab Nebula has a long history of observations beginning with records of a bright supernova by Chinese astronomers in 1054. It had been observed by several different astronomers before William Parsons, an Anglo-Irish astronomer, observed it and designated it the “Crab Nebula” in 1840. Using a 36-inch telescope, Parsons sketched the nebula, which looked somewhat like a horseshoe crab. The Crab Nebula is the first object identified with a historical supernova explosion. 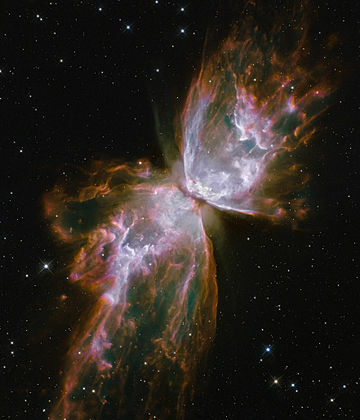 The Butterfly Nebula was first recorded sometime before 1888, when it was published in the New General Catalogue of Nebulae and Clusters of Stars (abbreviated NGC). While it had been discovered sometime before the turn of the 20th century, it wasn’t studied, at least as far as anyone knows, until 1907 when American astronomer Edward Emerson Barnard drew and described it. Which nebulae are your picks? Share in the comments, and don't forget to follow along on Twitter!